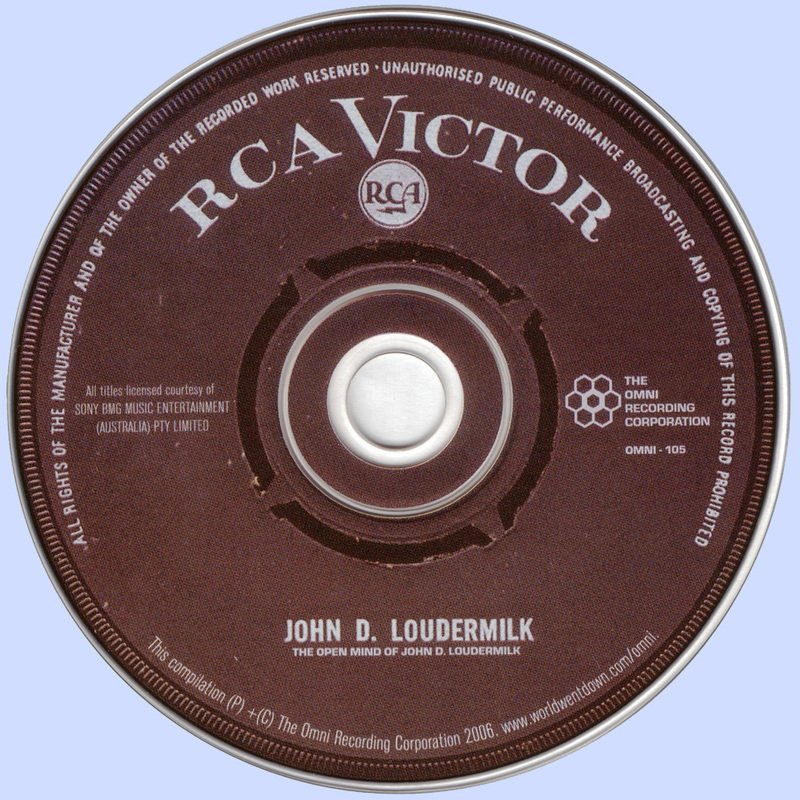 Despite the widespread if somewhat under-publicized popularity of many of his songs, it's hard to know just what to expect from John D. Loudermilk's own recordings. 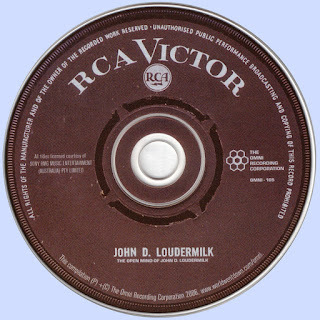 One of the most original songwriters in 1960s Nashville, Loudermilk penned a number of hits that have been recorded by artists ranging from Nina Simone and Norah Jones ("Turn Me On") to William Bell ("Then You Can Tell Me Goodbye"), from Johnny Cash ("Bad News") to the Flying Burrito Brothers ("Break My Mind"), and from Paul Revere and the Raiders ("Indian Reservation") to practically every delinquent garage band on the planet ("Tobacco Road"). 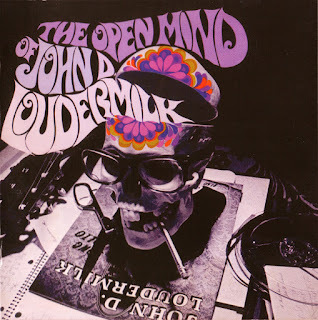 Loudermilk himself recorded many of these and released them some forty years ago on albums with titles like The Open Mind of John D. Loudermilk, John D. Loudermilk Sings a Bizarre Collection of the Most Unusual Songs, and Suburban Attitudes in Country Verse. Sure, there was an element of novelty-song humor to some of Loudermilk's work, but much of what's collected on this disc -- a fantastic-sounding reissue of Open Mind and almost all of Most Unusual Songs, plus some other numbers of note, twenty-seven songs in all -- reveals Loudermilk to have been a witty, pop-conscious songsmith who at his best transcended novelty and exhibited, yes, an open mind during years of uncertainty and peril. While some of what's here might seem uncomfortably obvious today, the social consciousness, the regard for life of all stripes, is often remarkable. Even if having the white male in an interracial relationship call his companion "Brown Girl" overdoes it just a bit, that Loudermilk addressed such a situation nearly 40 years ago is admirable. (It's more tactful, but considerably less rockin', than the Rolling Stones' "Brown Sugar".) Although the apparently authentic chanting in "The Lament of the Cherokee Reservation Indian" might be cringe-inducing to the modern listener, the sentiment is hard to argue with and the performance is effectively ominous. And to contemplate the ethical problem of shooting a bird in "The Little Grave", especially in the context of a country-pop album, is a risk few songwriters then and now would be willing to take. That Loudermilk tempers some of his commentary with humor doesn't serve to weaken it. The first track here, a musical rip-off of "Hi-Heel Sneakers" called "Goin' to Hell on a Sled", makes use of funny voices, all of the opinion that, yes, that's where the world is going if war is rampant, weed isn't just what grows in the cracks on the sidewalk, and prayer isn't allowed in schools. "The Jones'", the ones so many of us strive to keep up with, are seen as ever-present to the point that they control all forms of media. Often the humor is used to demonstrate the resilience of the characters in Loudermilk's story-songs, which typically involve various down-on-their-luck folks who manage to see the silver lining in their predicament. The drifter in "Interstate 40", a "happy son of a gun", says, "The government's given me Interstate 40 / And the good lord's give me a thumb". Ma Baker, owner of a little acre of land which she adamantly refuses to sell to the Tennessee Valley Authority, winds up with a little island where "she can float / And catch big bass from her motorboat / And when the wind ain't a-blowin' too strong / She can water-ski". And of course the singer of "Bad News" -- he who causes trouble everywhere he goes -- can at least say he's a hit with the little girls. While the lyrical content of even the less interesting songs is above average, it's easy to miss because Loudermilk wasn't as innovative or clever in the musical department. A song like "No Playing in the Snow Today", which cautions against making contact with potentially radioactive snow, has a sickly-sweet melody, cloying background vocals, and syrupy swathes of strings, which detract from the lyrics by making the song sound utterly ordinary. At least "The Lament of the Cherokee Reservation Indian" sports a bluesy guitar figure to counteract the obviousness of the tom-toms. In fact, it may come as something of a surprise to have to reconcile the very authentic blues feel of some of these recordings, especially "Tobacco Road" and the moan Loudermilk lets slip during the fadeout of "Interstate 40", with the photo of the bespectacled, totally Squares-ville man in the booklet. One thing's for certain: the man had impressive range, and a thorough command of rural idioms. For the pop-music fan familiar with the hit versions of his songs, The Open Mind of John D. Loudermilk is a fine place to get acquainted with the songwriter's own recorded efforts. In terms of availability, it'll probably be easier to find than Bear Family's earlier reissues, and at seventy consistently-high-quality minutes, it's a bargain. Entertaining listening for a ride on the 21st-Century sled, too.